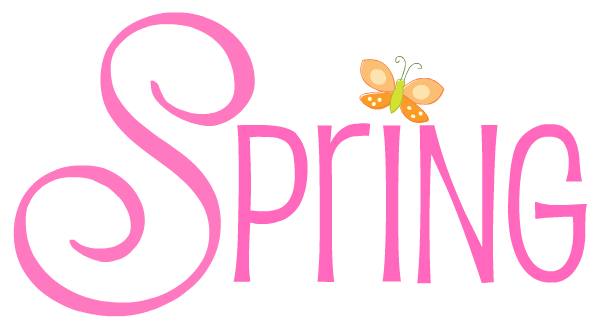 1st Thursday of the month 6:30 p.m. Social Time, 7:00 p.m. Meeting. No meetings held in June, July, August or December. 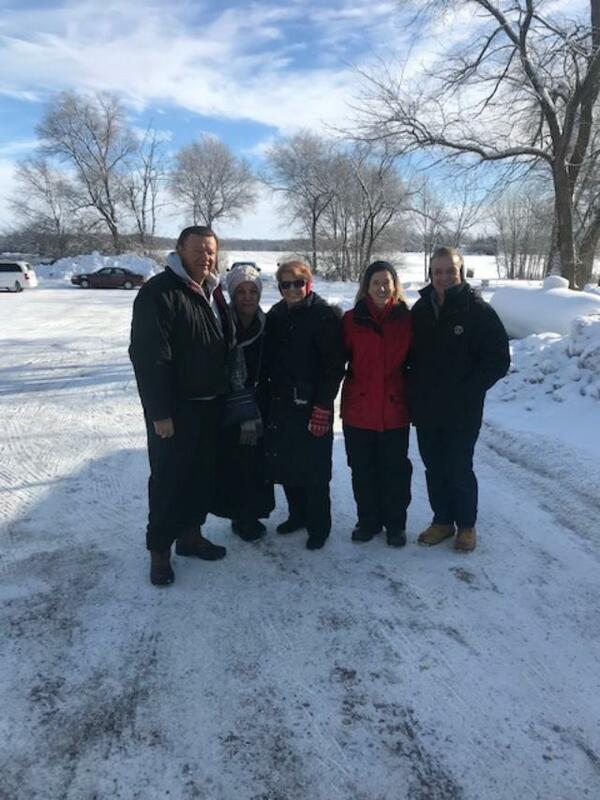 There is a lot of great information in the February 2019 Lion Tale Newsletter. Please take time to read it. 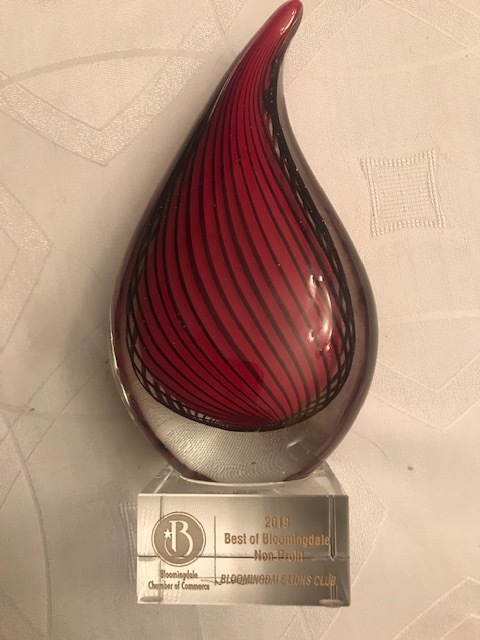 At the Bloomingdale Chamber Awards ceremony on March 7th, our club was presented with the Best of Bloomingdale award in the non-profit category for 2019. This is an award that goes out to our members as a club. It reflects the Bloomingdale community's recognition of our hard work and dedication of our members in helping others. Congratulation Lion members. 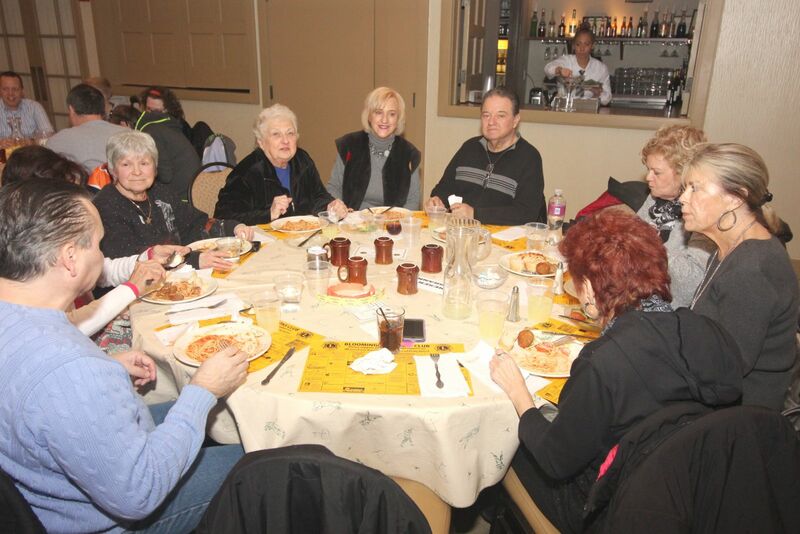 This year's spaghetti dinner was a huge success in spite of the frigid cold temperatures! We had 208 people attend and help raise some much needed funds. 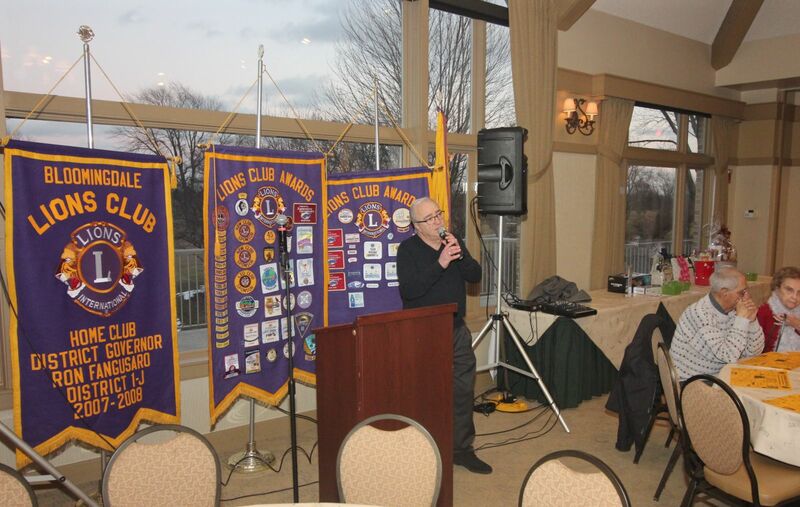 Tony Spavone entertained patrons with his classic repotiore of songs. Thank you, Tony! 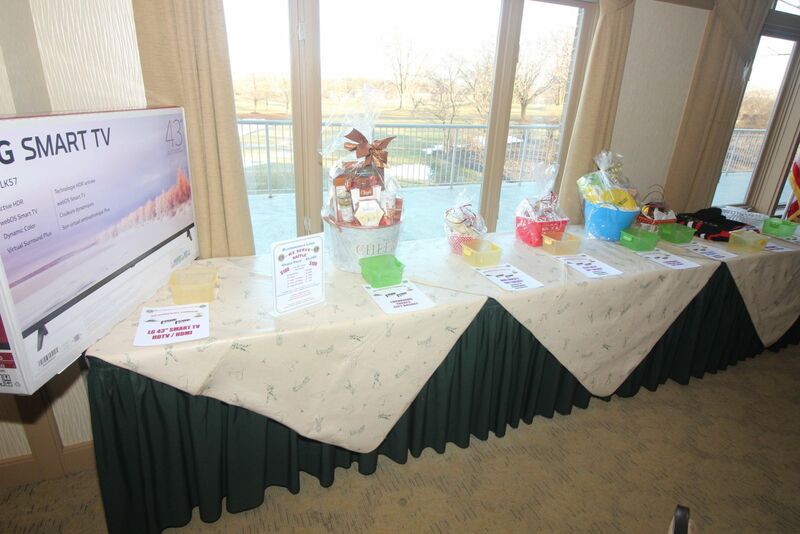 The raffle prizes were a huge success. 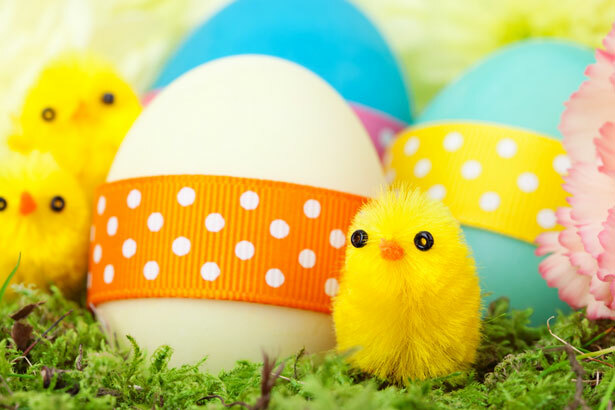 Thank you to all who donated prizes and/or bought tickets. As always, the food was fabulous. 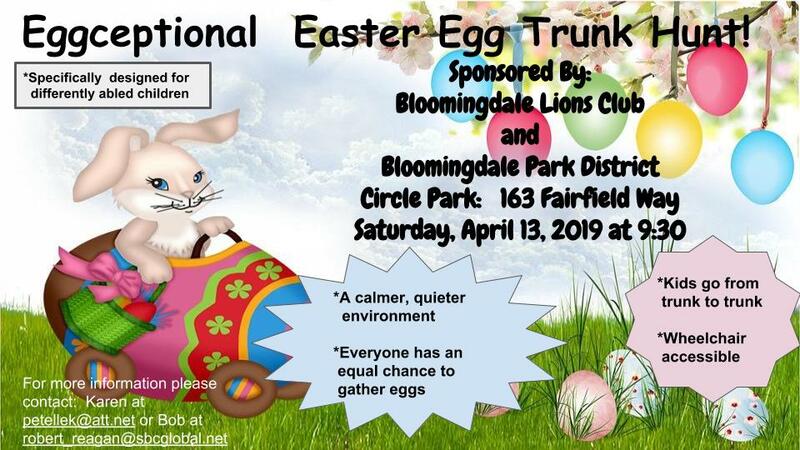 Thank you to the Bloomingdale Golf Club for hosting the event. Great job, Lion Karen V. on coordinating this event. 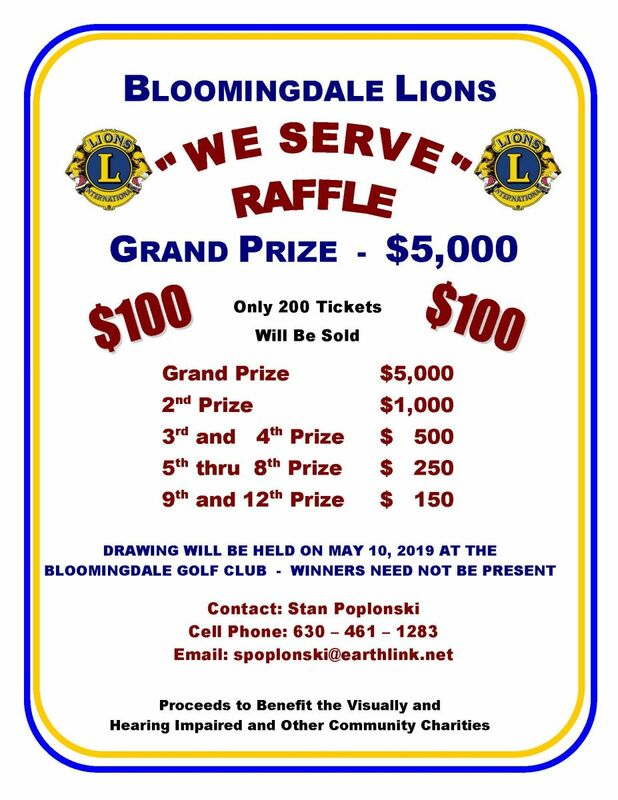 Once again, the Bloomingdale Lions helped at ski for site in Shabbona Lake State Park. We had five Lions helpers, Camille, Karen Joan, Sam and Stan. 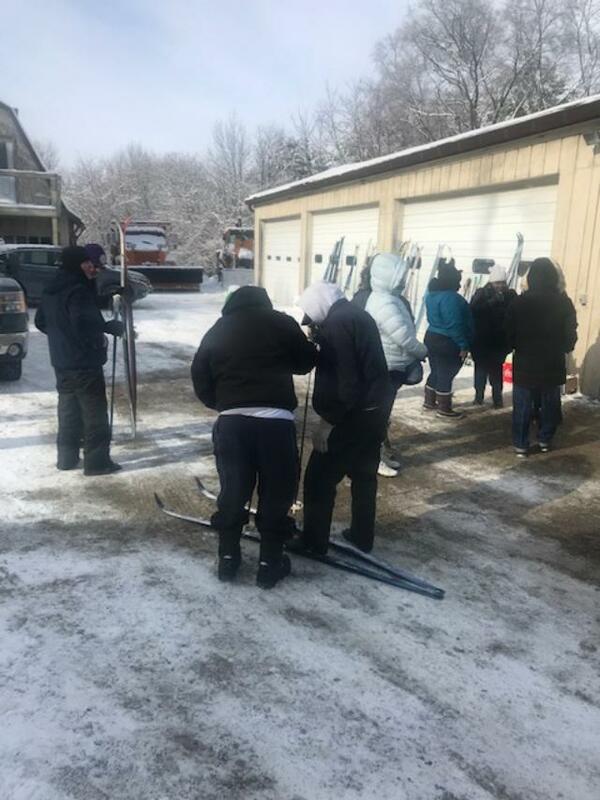 It was a cold day, but we are all dressed warmly and there was plenty of snow, so the skiers had a good time. One skier told me that this is the only time that they can get out of the house in the winter. They really appreciate the event and the Lions for hosting. 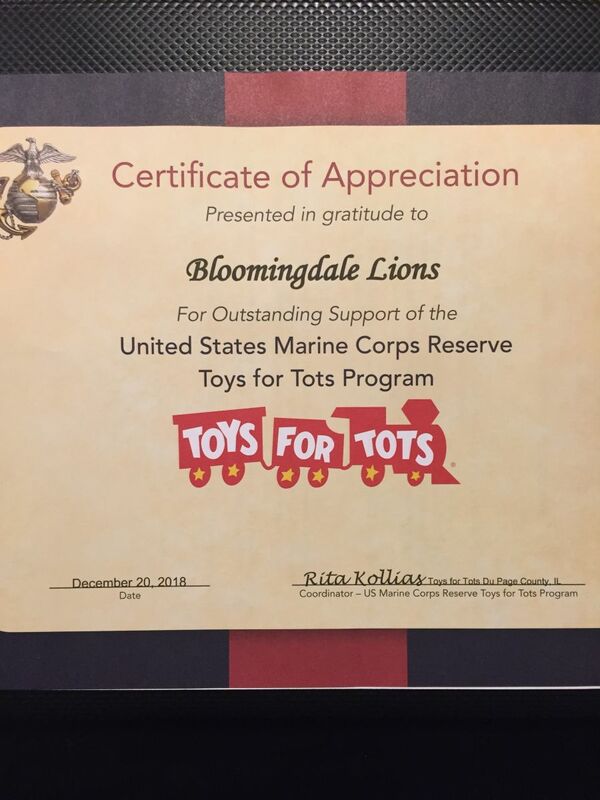 27,000 DuPage Children received Christmas gifts that may not have if it weren’t for the combined efforts of the “Marines toys for tots program ” with the help of community organizations such as the Lions. Thank you. Our newly acquired Future Leader Dog "Douglas"
The Bloomingdale Lions Club accepts glasses, hearing aids, keys, pull tabs, cell phones, ink cartridges and unwanted Christmas lights. If you are interested in donating any of these items you can drop them off at one of our "drop sites": Hollywood Cleaners located at 160 S. Bloomingdale Road, Bloomingdale or the Bloomingdale Public Library, 101 Fairfield Way (Fairfield & Bloomingdale Rd), Bloomingdale IL 60108.